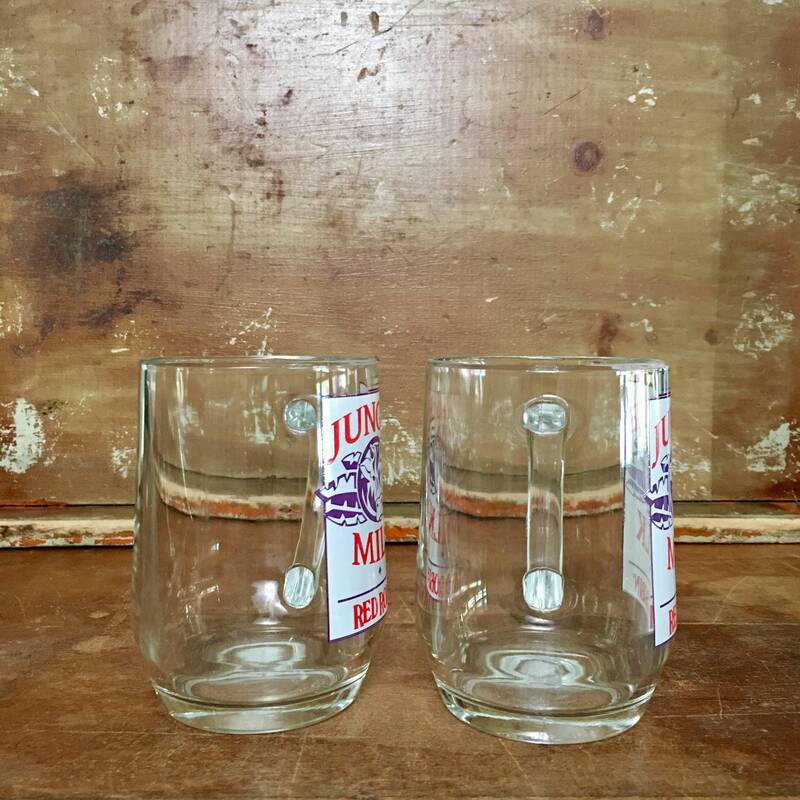 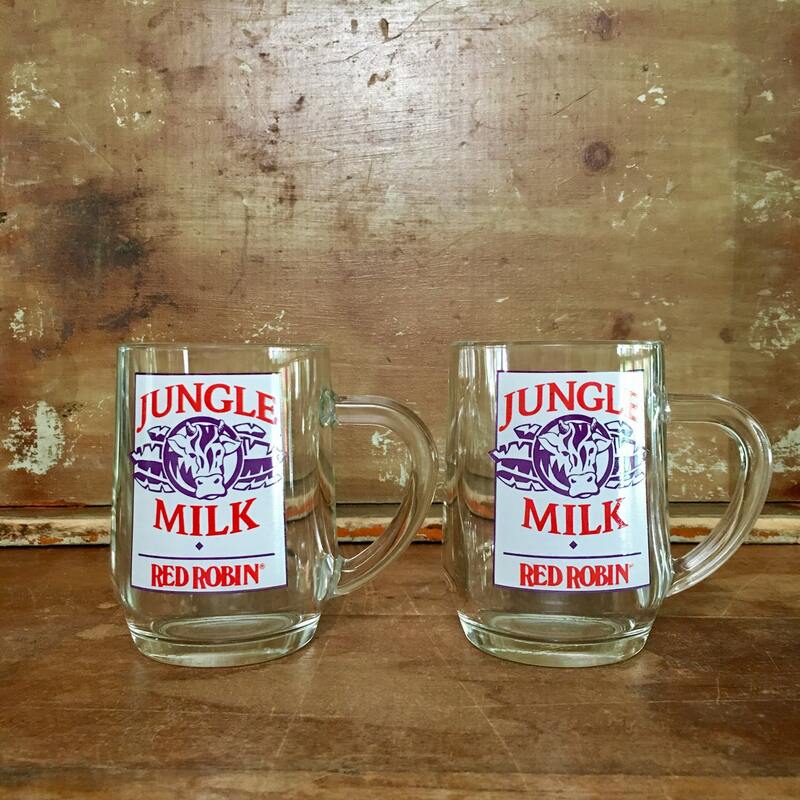 Vintage pair of Red Robin glass mugs - designed and sold for their famous "Jungle Milk" - a boozy milkshake. 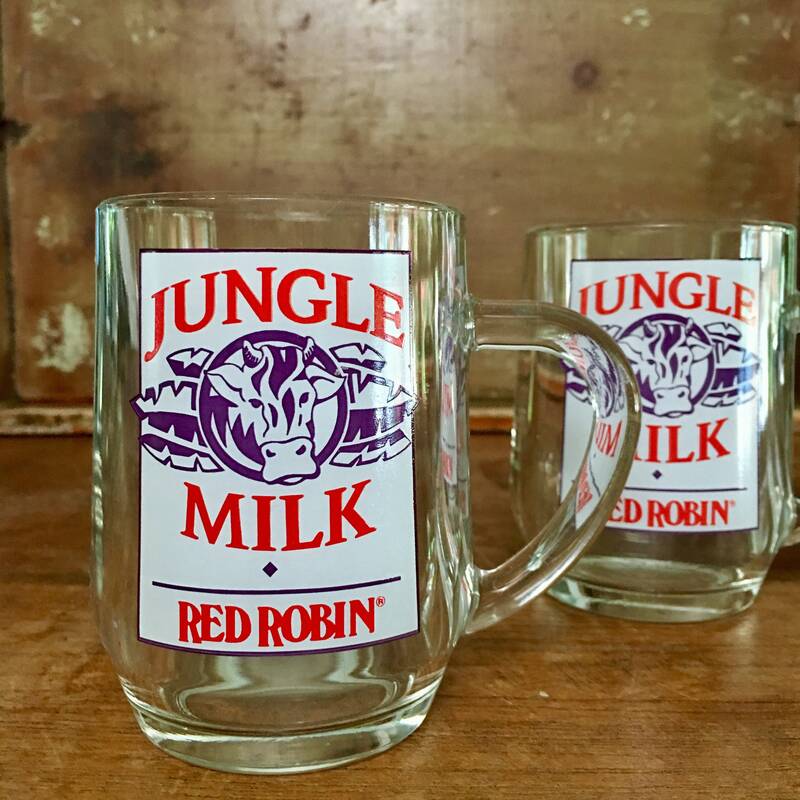 Red Robin logo features a cow in purple, red and white. 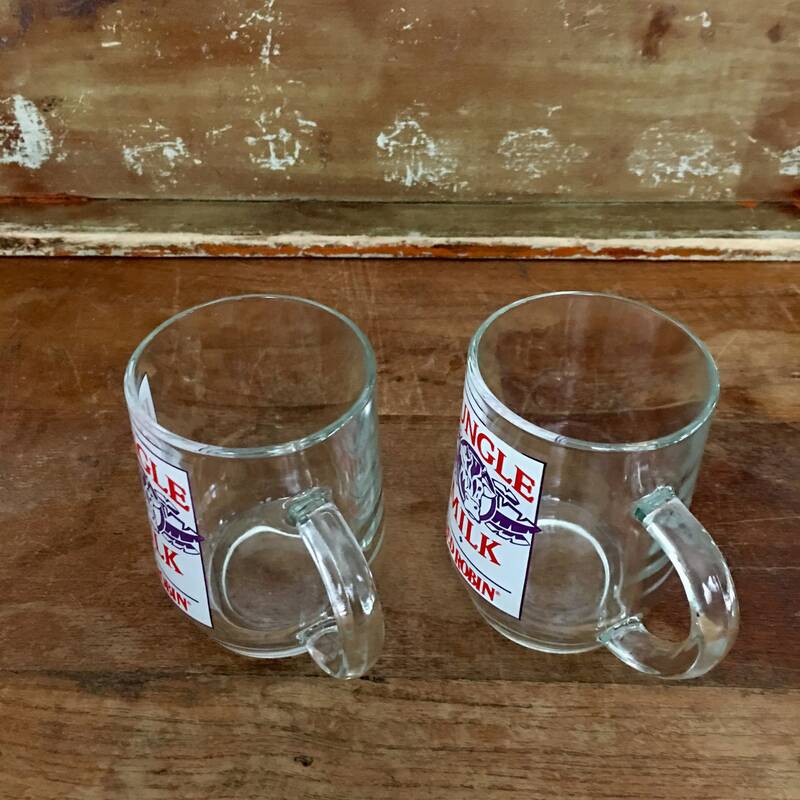 Excellent vintage condition, no chips or cracks. 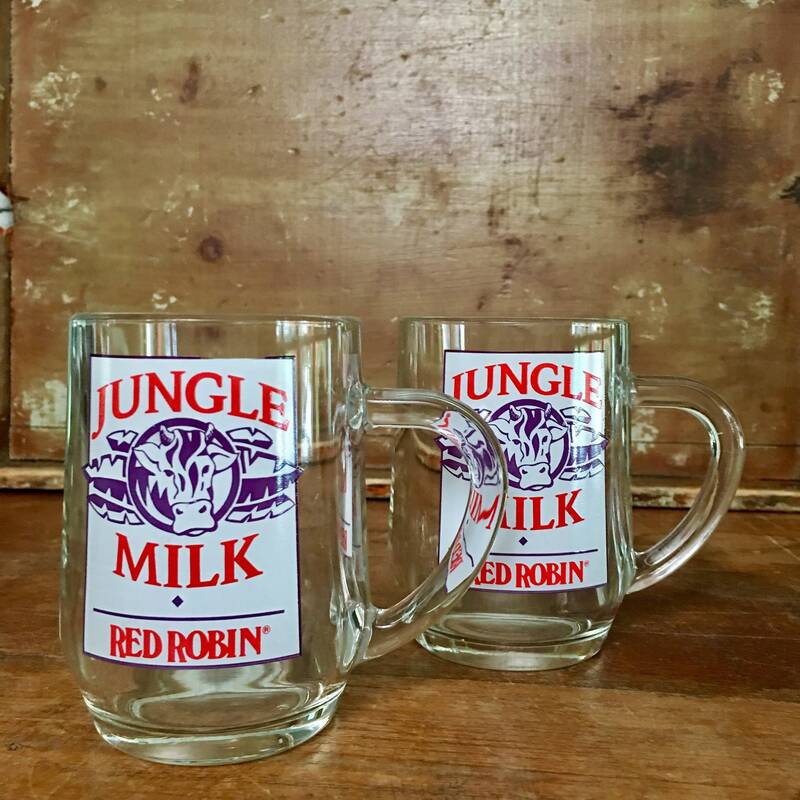 Great nostalgia piece for the Red Robin fanatic. 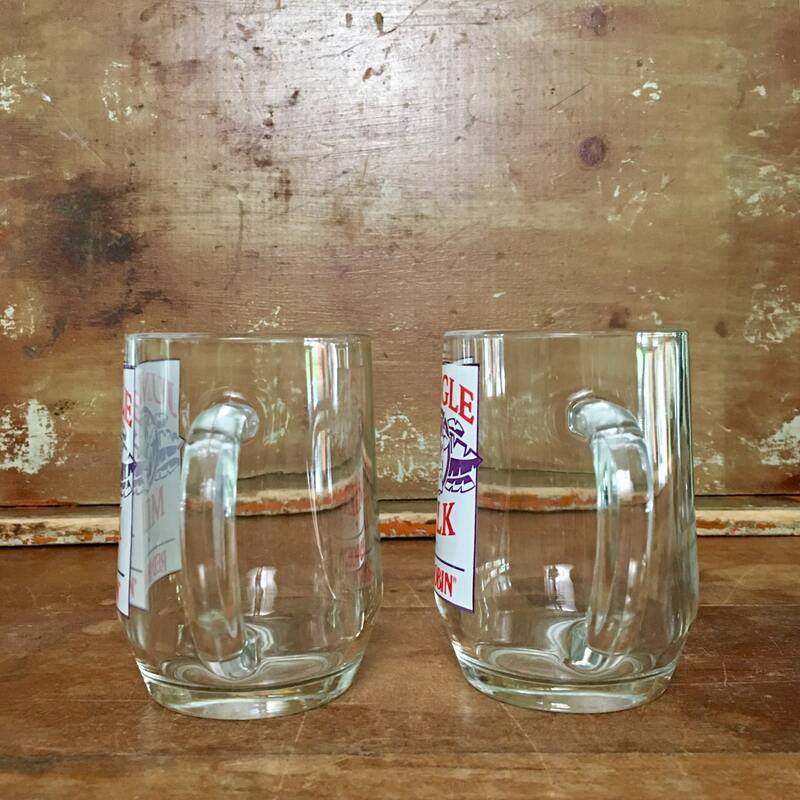 + Combined weight is 1 lb., 15 oz.